There is currently just the 1 ferry route running between Madeira Islands and Portugal operated by 1 ferry company – Porto Santo Line. 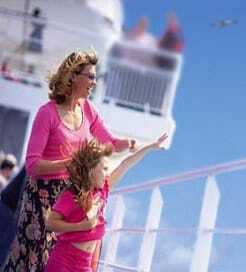 The Funchal to Porto Santo ferry crossing operates weekly with a scheduled sailing duration from about 2 hours 15 minutes. 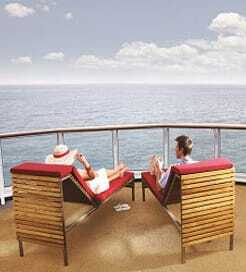 Whilst we’ve taken great care to ensure the information on this page is correct, as the frequency and duration of crossings on all routes can vary from time to time we’d advise that you get a live quote for current availability on this Madeira Islands Portugal crossing between Funchal and Porto Santo. Madeira is a small Portuguese archipelago in the Atlantic Ocean comprising a namesake island, Porto Santo and a few unpopulated islets. Famed for its year-round mild climate and stunning scenery, Madeira has rightfully earned the nicknames ‘islands of eternal spring’ and ‘pearl of the Atlantic’. It’s also renowned for producing the popular Madeira wine and exquisite cuisine, helping it become one of Portugal’s most visited regions. The capital, Funchal is set before dramatic coastal mountains, boasting beautiful architecture, excellent snorkelling spots and a bustling ‘Old Zone’ with quirky streets and superb restaurants. While Madeira Island is the archipelago’s cultural hub, the idyllic Porto Santo offers nine kilometres of white sandy beach and a refreshingly laidback atmosphere. Ferries run frequently between the ports of Funchal and Porto Santo, operated by a popular local ferry company, making it even easier to explore the beautiful Madeira Islands. Portugal is a country in South-Western Europe and shares the Iberian peninsula with Spain at the Western tip of Europe. With a mild climate, 3000 hours of sunshine a year and 850 km of splendid beaches on the Atlantic Ocean, Portugal is the perfect holiday destination all year round. As one of the top 20 most visited countries in the world, Portugal attracts an average of 13 million visitors per year, with its capital city Lisbon as a tourist hotspot.